The drama is all in the mid-field on the final day as Tour Auto heads for the sea via the Pyrenees’ foothills. Overall winners: Jean Pierre Lajournade and Christophe Bouchet (Jaguar E-type). Photo @Morrissette_Rac (Morrissette racing). The A64 guided the route on day four and it does so again on the fifth and final day. This time however, drivers criss-cross ‘La Pyrénéenne’ before a last plunge down into the foothills ahead of the seaside finish in Biarritz. At 212km, day five is by far the shortest of Tour Auto with a 07:30 start and expected 15:50 finish. Racing laps were at the Circuit Pau Arnos, a relatively new track opened in the 1980s, between Pau and Orthez. Unlike day four there are no famous mountain passes though good use is made of the tiniest back roads. Picnic lunch stop La Bastide Clairence is officially one of the ‘Most Beautiful Villages of France’. Orthez is famous for its ancient ‘Pont Vieux’ fortified bridge (now closed to cars). The afternoon’s special stage is on the tight, twisty and wooded D123 from Oregue. 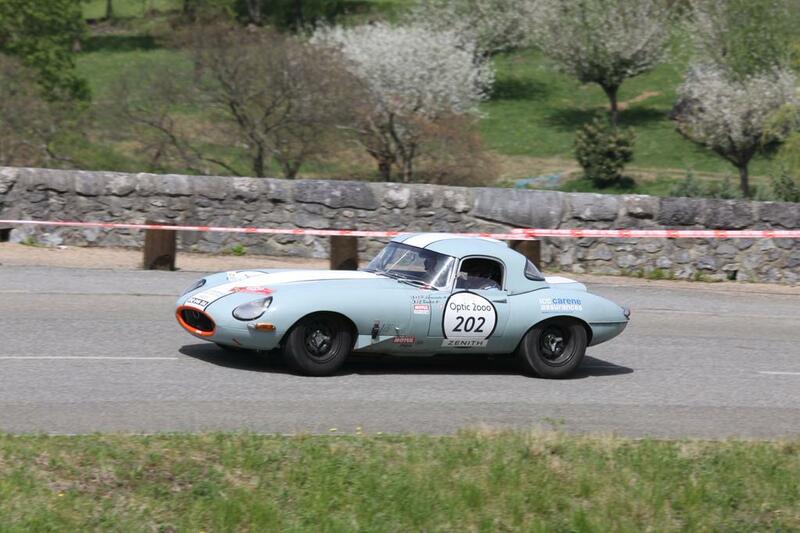 After overcoming the mob of Cobra 289s on the second day, Jean-Pierre Lajournade and Christophe Bouchet (Jaguar E-type) held the lead for the rest of the competition to eventually win by 31s. However, Ludovic Caron and Charles de Villaucourt (AC Cobra 289) in second cut the gap by a third on the final day. 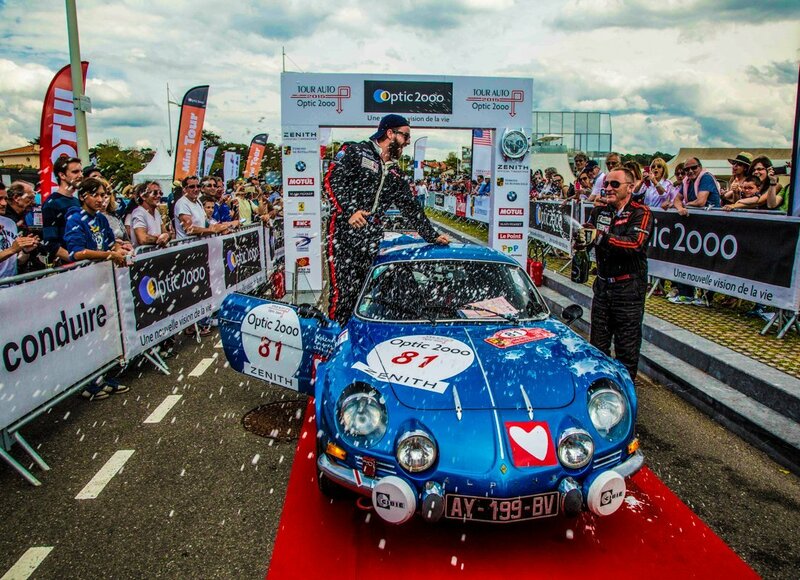 This is the second overall victory for Lajournade and Bochet after winning in 2010 at the wheel of a Lotus Elan. 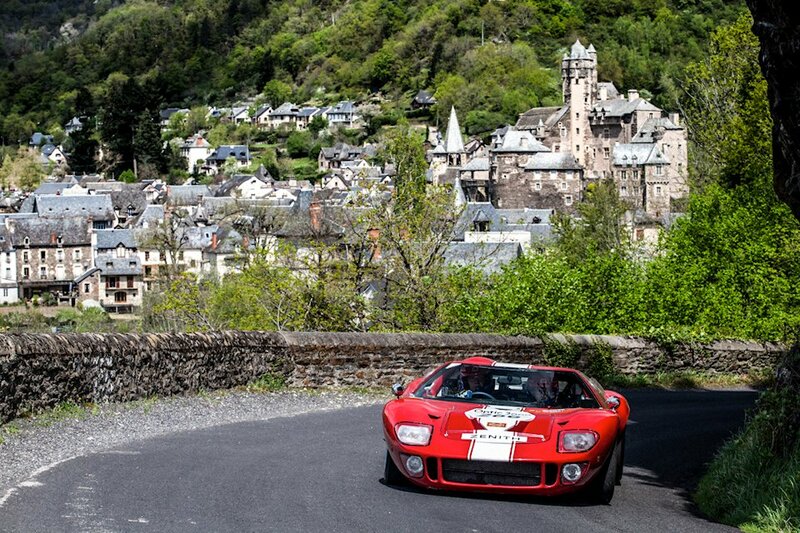 Meanwhile, final stage dramatics saw Philippe Vandromme and Frédéric Vivier (Ford GT40) overhaul a gap of more than a minute to take victory in the G1 + G2 Class over Arnaud Gauduel and Alexandre Delaye (BMW 2800 CS). The H1, H2 + I Class had been expected to produce another nail biting finish but in the end – after a dead heat on day three, and one second gap on day four – Christophe Van Riet and Kristoffer Cartenian (Porsche 911 RS 3.0) ultimately beat Didier and Jerome Sirgue (De Tomaso Pantera) by 20s. 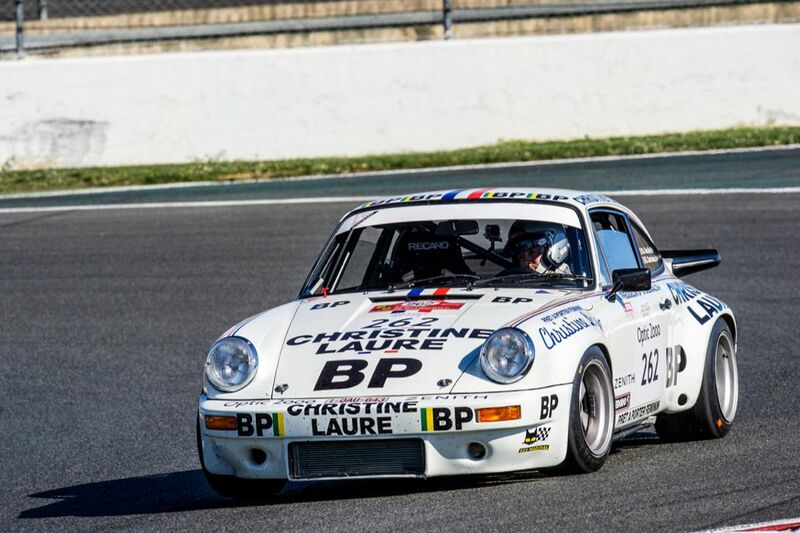 In the weighted Index classification, Frédéric Puren and Caroline Bertrand (Porsche 956) lead from the beginning and finished 1m57 ahead of the rest of the field on a corrected 1h00m38s, compared to the 1h33m33s of overall winner Lajournade. Similarly, Jean-François Nicoules and François Nicoules lead every day of the Regularity competition. 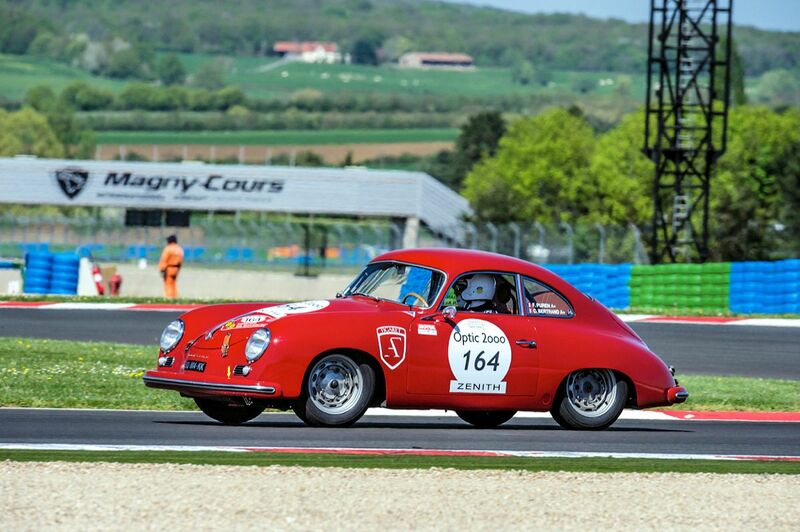 For more information see the Tour Auto website, or follow @TourAuto. See Day One Paris-Vichy here, Day Two Vichy-Clermont Ferrand here, Day Three Clermont Ferrand-Toulouse here and Day Four Toulouse-Pau here. 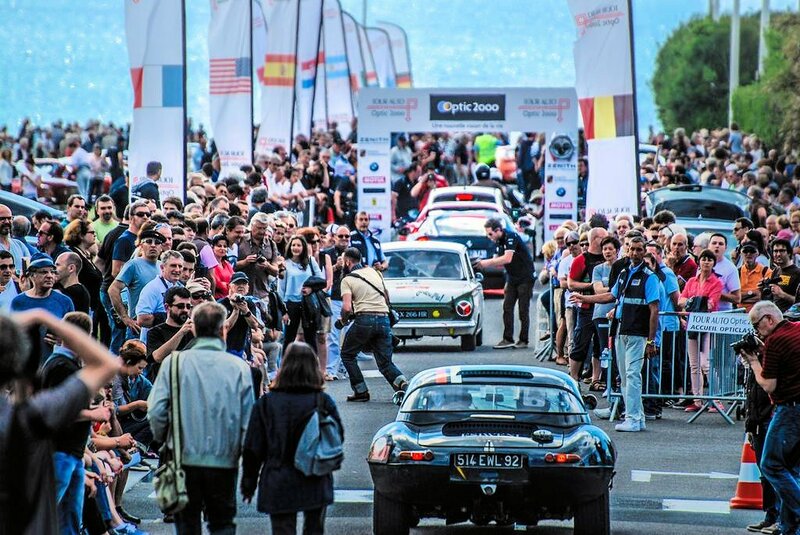 The Tour Auto finish at Cite de l’Ocean in Biarritz, in sight of the Atlantic.